Most large cities have seen at least one flash mob phenomenon. But in Paris they do it with style, apparently. Today the New York Times ran a story about two impromptu mass picnics that took place in the Louvre museum’s courtyard and in front of Notre Dame. Called Le Dîner en Blanc, the annual mass gathering has been popping up since 1988. That year, François Pasquier, now 67, returned to Paris after a few years abroad and held a dinner party to reconnect with friends. So many wanted to come that he asked them to convene at the Bois de Boulogne and to dress in white, so they could find each other. … [On June 16], in the golden light of an early-summer evening, thousands of Parisians dressed entirely in white converged on two of the city’s most picturesque locations — 4,400 of them in the plaza at the cathedral of Notre Dame; 6,200 in a courtyard of the Louvre — for a feast that was neither advertised nor publicly heralded. Although it attracts thousands of participants and unfolds in public spaces, Le Dîner is a strictly private affair: Invitations are extended only by word-of-mouth. … The guest list is made up entirely of friends, and friends of friends. And despite the dinner’s vast and visible attendance, it has remained discreetly under the radar. Paris is still a class-stratified society … so unwritten rules of privilege have allowed secrecy to surround the event. On August 26, the same phenomenon will come to New York—with one important difference. 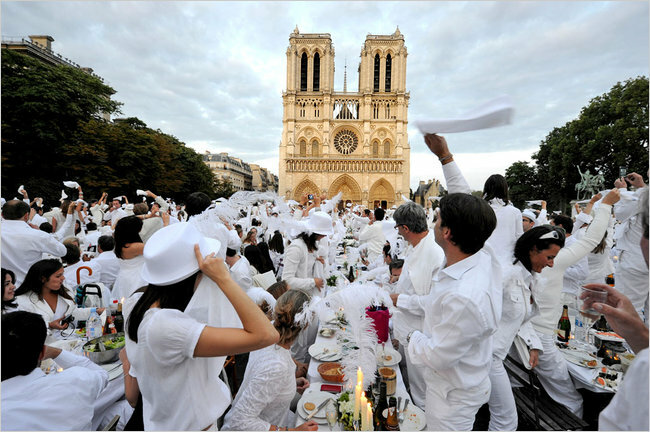 In New York … the Dîner en Blanc is being conducted openly, facilitated by Facebook and Twitter and other online aids, and coordinated with municipal authorities. For me, this small difference spoke volumes about the cultural difference between Paris and New York. Paris is a closed society, in many ways. 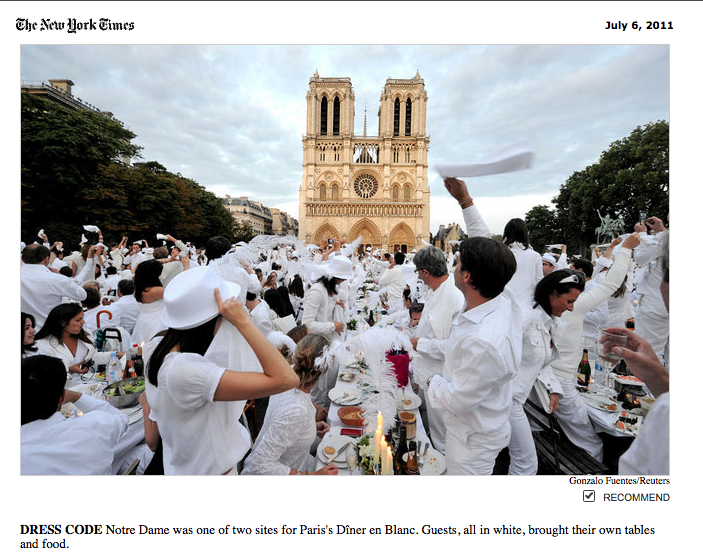 As its Dîner en Blanc attests, social rank in Paris is still determined largely by whom you know. Good connections will get you everywhere … including a secret dinner in front of Notre Dame. So it seems fitting that New York’s event should become somewhat of a celebrity with its own Facebook fan page and a Twitter account. But here’s the twist: As open and public as New York’s event may seem, you still can’t get in. 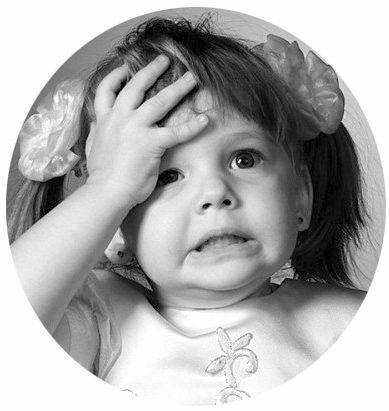 There are only so many slots available in the lottery … and they’re all taken. I don’t know which I prefer: to know that some things are accessible by invitation only, based on my social connections; or to have the illusion that I can join in—if only I’m hard-working or lucky enough to get in.